Courtney is a junior studying Journalism and Global Health, while pursuing the pre-medical track. Passionate about global health policy and management, she wants to better understand the health outcomes of vulnerable populations and how social determinants shape them. At Northwestern, she is involved with the Global Engagement Summit and works at a neonatology lab at the Feinberg Medical School downtown. Back in March, I participated in the Emory International Global Health Case Competition. The experience was, first and foremost, incredibly humbling. To be in a space full of experts and students of different disciplines but all converge on their commitment to global health was really invaluable. The competition was energetic and engaging, and made me realize how many brilliant thinkers are motivated by the same goals as me. 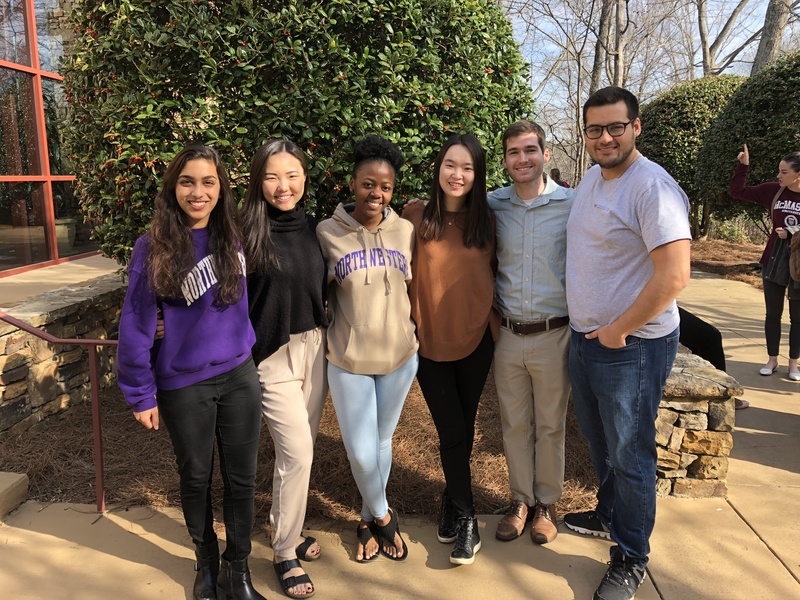 I traveled to Atlanta, Georgia, along with five other Northwestern students, to spend a weekend fully immersed in developing an innovative solution to a global health-related case. The Emory Global Health Institute invites students from all over the world to spend two days working with an interdisciplinary team to tackle modern health challenges. In the Northwestern group, three students from the Feinberg School of Medicine teamed up with three undergraduates of different majors – Biological Sciences, Psychology and Journalism. 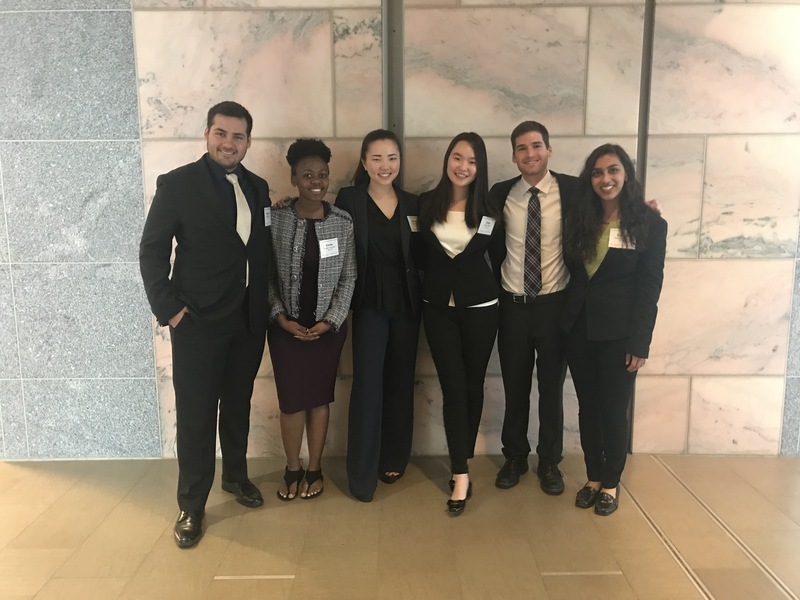 Left to right: Supriya Rastogi, Courtney Zhu, Emilie Umuhire, Chen Chen, Matthew Doerfler and Giancarlo Atassi. The 2018 case focused on emergency disease containment. The issue, in summary, was a coronavirus outbreak at the 2022 FIFA World Cup in Qatar, where millions of fans, athletes, celebrities and diplomats from all around the world will come together – potentially instigating an worldwide epidemic with fatal implications. Each team was called on to propose a comprehensive strategy to address the “FIFA Virus” with a 50 million USD budget. Our team developed a five-fold strategy: containment, control and prevention, public education, collaborative network, and research for sustainability. Beyond controlling the outbreak, a cornerstone of our project was sustainability and how our response may help strengthen Qatar’s public health system. I had never grasped the immense complexity of infectious disease containment until this experience. The outbreak response and surveillance protocol itself is full of complications. We asked hundreds of questions such as, “How can we prevent virus from spreading to non-infected persons?” or “How can we treat existing cases, while also delivering prophylactic care to those who have been potentially exposed?” In the process, a number of legal and ethical battles surfaced, especially with regard to quarantine and border control measures. I realized the urgency of infectious disease outbreaks and came to really admire the intricacy of epidemiology. Perhaps most importantly, the Emory Case Competition did something a college classroom simply cannot replicate. It was one thing to read about outbreak responses, but attempting to create and implement one called for what I deem actionable thinking. Unlike emphasizing conceptual theory, actionable thinking is rooted in application and pushing those theoretical boundaries. I also owe so much of this experience to my amazing team. Each person had different backgrounds and ideas, but we all united on our love for learning and global health. We spent late nights working in our hotel rooms – sleep-deprived and frustrated – but at no point did we want to give up on perfecting our solution. I am thankful to have learned so much from each of them, but also to share many laughs and memories along the way. The Northwestern team on Presentation day. At the closing reception, Jeffrey Koplan, the former director of the Central for Disease Control (CDC), remarked in his closing speech that the demographic of global health leaders is slowly evolving. He noted the contrast of his generation of majority-white, male-dominated professions with the incredibly diverse, majority-female participants of this competition. That said, this weekend gave me hope for the future of global health. The fact that hundreds of people carved out three full days to address an invented virus is telling: people really care. Much of global health today is infuriating. Interventions can be ineffectual, or some may do more harm than good. But the dedication, thoughtfulness and diversity of the people I met this weekend assured me that the future is in good hands.